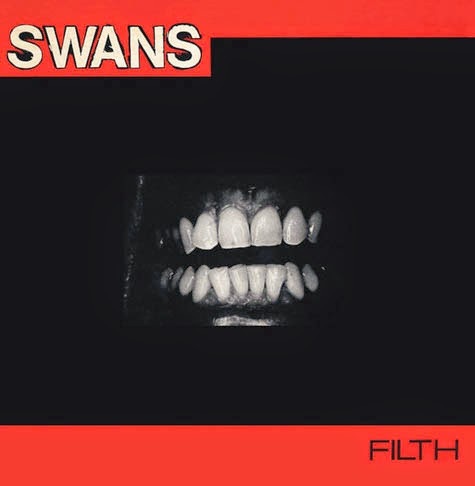 So, if this year's two-hour tension riddled colossus To Be Kind wasn't enough, Swans are reissuing their 1983 debut release, Filth, on October 28th. Apparently, this will be the first of many reissues the band will be tackling as they delve into their discography over the coming year. Filth is available for pre-order per a link which, along with all of the information below, was provided by Howlin' Wuelf Media. Young God Records follows the release of this year's critically acclaimed 2 hour long Swans opus To Be Kind, with the vinyl re-release of their debut album Filth on October 28 on Young God in North America and Mute the preceding day in all other territories. Filth inaugurates an ambitious series of re-issues of Swans' distinguished back-catalogue over the coming year. 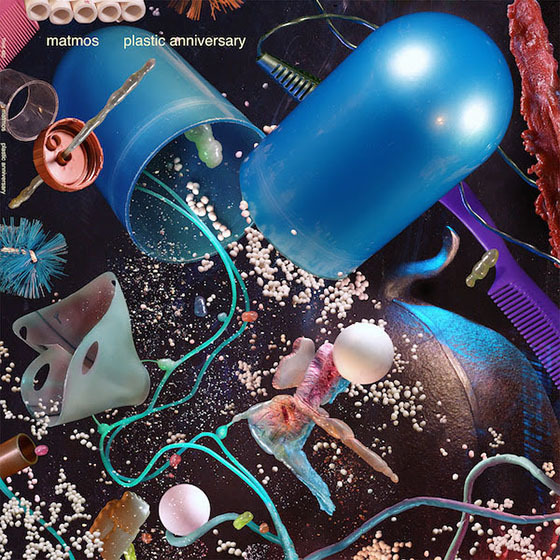 This is the first authorized vinyl edition of the album in 24 years, and was re-mastered by Doug Henderson (who mastered To Be Kind and its predecessor The Seer). It features the original cover artwork and comes with reproductions of two concert posters from that era. Originally released in 1983, Filth was recently described by Clash Magazine as "a brutally exhaustive work swimming in a thematic pool of audacious abjection" and by The Village Voice as "no wave with five years of practice, too messy for mysticism and too funny for suicide." "This is all slabs of sound, rhythm and screaming/testifying," states Michael Gira. "What more do you need? In a way, it was a reaction against Punk (and just about any other music you can think of), and the conservative notion that 3 chords were somehow necessary. "I used to deny it vehemently at the time, but No Wave (I "hated" that scene too, for some reason I can't remember now) played a big role as the germ from which this music grew, along with The Stooges and Throbbing Gristle, of course. I wanted Swans to be "heavier" though - I wanted the music to obliterate - why, I don't remember! I think it just felt good. Live, we used two basses (playing utterly unmusical chords that were stabbed and left to sustain or sometimes hit in staccato or opposing rhythms), drums, a "percussionist" that slammed down on a metal table with a metal strap, crude cassette loops of various sounds/noises (usually some kind of undefined ROAR), and Norman Westberg's glorious sustained and screaming guitar chords. "It was pretty elating to play live - for us. If 100 people showed up (which would have been a huge audience at the time - 20 was more the average), 80 were guaranteed to leave by the second song. Somehow that tension - contempt or indifference from the audience - was nourishing, so we kept going. "Here's some music I was listening to at the time: Throbbing Gristle, Psychic TV, The Stooges, Brian Eno, Teenage Jesus And The Jerks, DNA, The Contortions, Glenn Branca, Black Flag, early Pink Floyd, This Heat, Kraftwerk, The Germs, Cabaret Voltaire, Can, Public Image LTD., SPK... "
"Stay Here," "Big Strong Boss," "Blackout," "Power For Power," "Freak," "Right Wrong," "Thank You," "Weakling," "Gang." Swans, led by Michael Gira, formed in 1982 and, after disbanding in 1997, returned with the critically acclaimed albums My Father Will Guide Me Up A Rope To The Sky (2010), The Seer (2012) and this year's To Be Kind - which was awarded the #1 slot in The Quietus' Albums of the Year So Far and featured in Pitchfork, MOJO, ConsequenceOfSound, Rolling Stone and many more. Swans' current line-up: Michael Gira, Norman Westberg, Christoph Hahn, Phil Puleo, Thor Harris and Christopher Pravdica.